From among all the proofs of the infinite goodness of our Savior none stands out more prominently than the fact that, as the love of the faithful grew cold, He, Divine Love Itself, gave Himself to us to be honored by a very special devotion and that the rich treasury of the Church was thrown wide open in the interests of that devotion.” These words of Pope Pius Xl refer to the Sacred Heart Devotion, which in its present form dates from the revelations given to Saint Margaret Mary Alacoque in 1673-75. 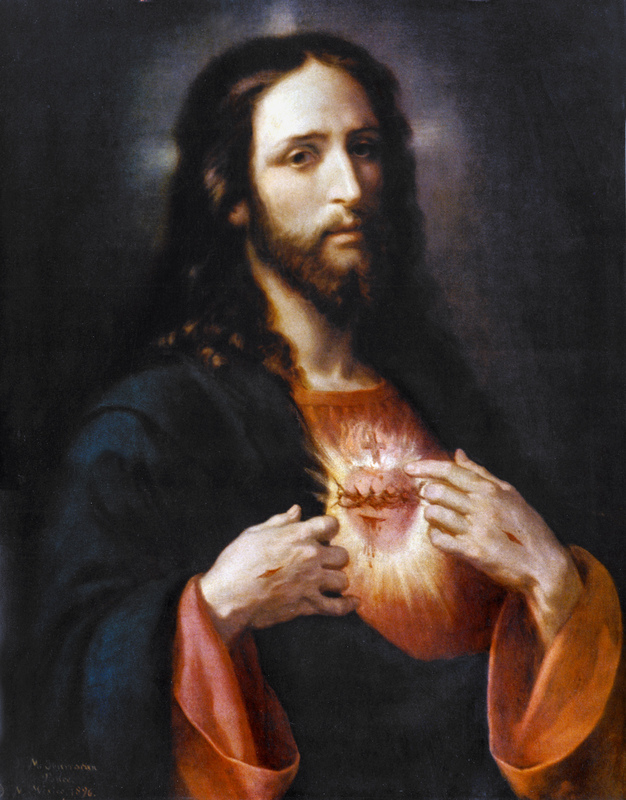 O most holy Heart of Jesus, fountain of every blessing, I adore Thee, I love Thee, and with a lively sorrow for my sins, I offer Thee this poor heart of mine. Make me humble, patient, pure and wholly obedient to Thy will. Grant, good Jesus, that I may live in Thee and for Thee. Protect me in the midst of danger; comfort me in my afflictions; give me health of body, assistance in my temporal needs, Thy blessing on all that I do, and the grace of a holy death. The prayers and meditations in the Sacred Heart book are deep and poignant. The artwork and overall professional quality of this 84 page book help make the contents even more meaningful. Well done. Glory be to God!